Russian warplanes have destroyed a surface-to-air missile launcher that the Islamic State terrorist group previously captured from the Syrian Army, the Russian Defense Ministry reports. The bombing campaign in Syria is forcing the jihadists to flee. 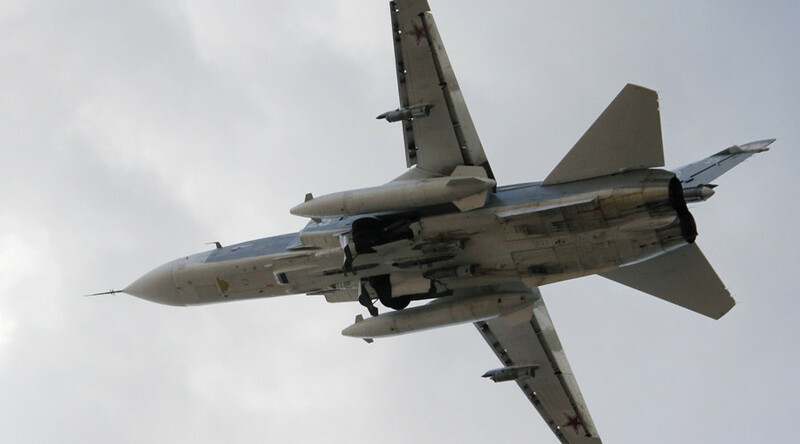 The 9K33 Osa short-range air defense launcher was destroyed by a Sukhoi Su-34 bomber in Eastern Douma near Damascus, ministry spokesman Igor Konashenkov told the media in his Thursday daily briefing. The Su-34 dropped a precision anti-fortification bomb KAB-500 at a concrete shelter, where the launcher was hidden, destroying both the weapon and the building, he added. Osa, which is called Gecko by NATO, is a highly-mobile launcher equipped with six short-range surface-to-air missiles meant to provide tactical cover from enemy aircraft to ground troops. The launcher was destroyed during one of 33 combat missions that Russia conducted in Syria over the day. A total of 32 targets in the provinces Idlib, Hama, Damascus, Aleppo and Deir ez-Zor were hit, Konashenkov said. The general added that terrorist forces appear to be abandoning their positions and are pulling back. “The militants are retreating, trying to establish new positioning areas and changing their supply system,” he said, adding that Russia has intensified reconnaissance sorties to monitor the situation on the ground.